Wondering what skills your child needs to be ready for Kindergarten? While children develop at their own pace, there are certain skills that most educators and developmental experts consider to be essential tools for achievement in a school setting. 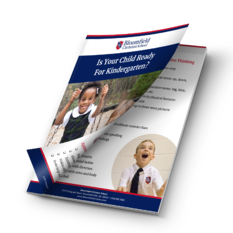 Download your free, printable checklist to help you track skill development across several key areas in your rising kindergarten student including fine and gross motor skills, verbal skills, social skills and more.